1938 Chevrolet Street Rod Coupe, STEEL body! TRADES? 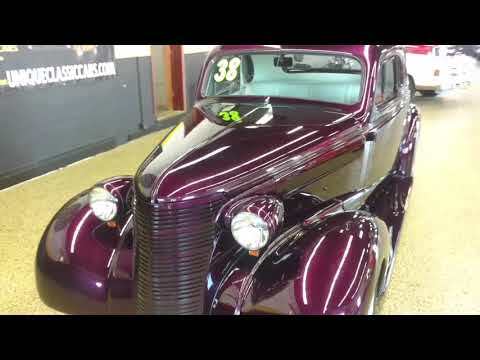 1938 Chevrolet Coupe Street Rod TRADES!!!!!! Here is a 1938 Chevrolet Coupe Streetrod that just came to us on trade. Within the last year the car has had the mechanicals checked and inspected. The Small Block V8 (350) and turbo 350 transmission seem to operate very well. . The paint and interior is in very good condition. It is equipped with nice equipment including tilt wheel, electric cooling fan, independent front suspension, front disc brakes, and more! It is a nice Steel body with fiber glass fenders and running boards. Call 507-386-1726 for more information. Trades are considered and Financing is available.